Solo travel is one of the most rewarding experiences. It’s a chance for self-discovery, adventure and getting out of your comfort zone. It’s a true test of character and resilience. You learn just as much about yourself as the culture of the destination you’re visiting. It’s an experience everyone should have at least once but something I know I try to make a regular occurrence. One of the biggest questions that I’ve been asked since my first trip is about safety. As a woman, it can be scary and intimidating to travel alone, especially in the world we live in today. While I can’t guarantee that every experience will be a positive one, I can guarantee that every experience will be a memorable one and will enrich your life in one way or another. Each city has its own pros and cons. These factors include walkability, number of activities, friendliness of the people, etc. As a solo traveler, I prefer visiting destinations that have good walkability. I’d rather not rent a car and I’d ideally like to be able to get around as easy as possible. Public transportation is something I can figure out pretty quick so I’m not above using it when it’s available. Every other part of choosing a destination is personal to you. What are you looking to get out of your trip? What are you interested in? And what you do want to take away from it? I can’t help you there but I can share a few recommendations for first time solo travelers. These destinations also keep women in mind. I’ve personally visited all but two of these cities and I was by myself for each of them. The others come from lots of research and strong recommendations from fellow travelers. These cities are organized alphabetically but Boston is by far my favorite on this list. As far as stateside travel goes, Boston will mostly likely always take the cake. Boston is a fantastic food city. Zagat and The Daily Meal have both recently included it in lists sharing the best food cities across America. It is a history buff’s dream city. It takes you back in time walking down the street. 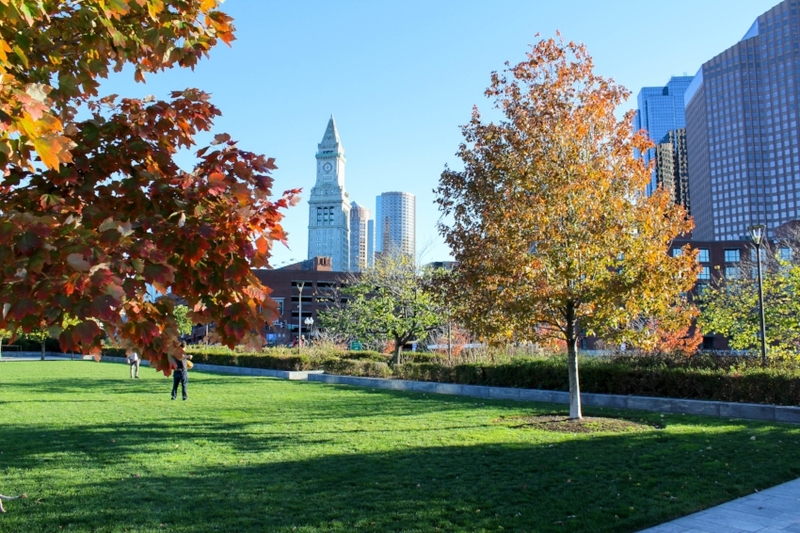 From trendy neighborhoods like Beacon Hill to quick trips across the river to Cambridge, the entire city is one giant adventure just waiting to be had. Don’t miss the Boston Common, grabbing a slice of pizza or a cannoli in the North End, and walking through a Harry Potter-esque, early Gilmore Girls dream come true on the Harvard Campus. Chicago is one of those cities that gets a bad rep from the media but doesn’t deserve it. It’s a beautiful city with tons of history, stunning architecture and an endless number of things to do. Bon Appetit even named it the Restaurant City of the Year in 2017 which was a mere three months ago. The culinary scene is without question one of the best and most exciting in the US and it’s constantly evolving. There are plenty of craft coffee shops to visit in every neighborhood and our obsession with donuts can be found in too many specialty donut shops. We have some of the best museums...did you know that the Art Institute of Chicago has the second largest collection of impressionist art in the world, only second to the D’Orsay in Paris? And we’re set to receive the biggest dinosaur ever discovered at the Field Museum very soon. Not to mention, Chicago is a walkable city, the public transportation is not hard to navigate at all and the people (I’ve been told) are friendly. We might be freezing cold for several months out of the year but if you catch us in a good month, especially during fall, you won’t regret the experience at all. There are a lot of great places to visit in Colorado near the Denver area. Boulder is a fantastic city, there are several towns in the mountains that are great to visit. Denver is easy to access and it’s great for exploring by yourself though. 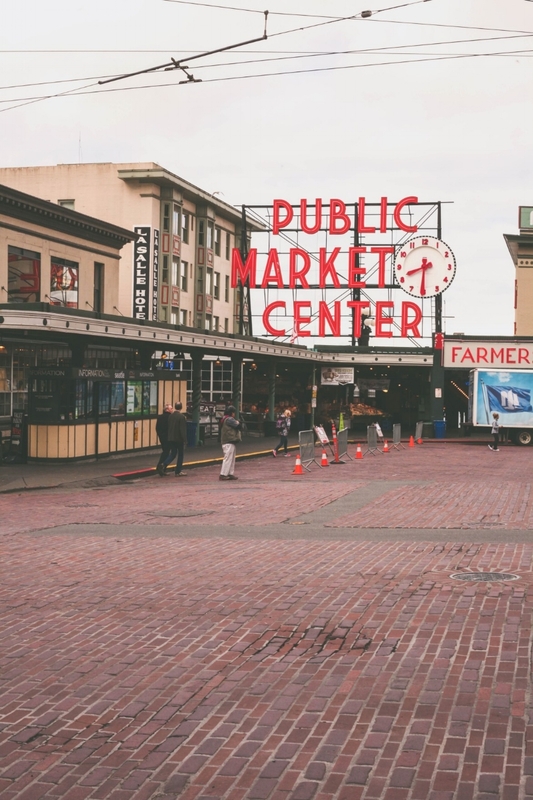 It’s walkable, public transportation is easy to navigate and there’s plenty to do. One of the things that I feel is less known about Denver is the amount of graffiti art it has. The art scene is huge in general but it’s fun to walk around and see the designs. Denver also has suprisingly nice weather. For non-locals, Denver seems like it would always be snowed in and cold. It’s actually a somewhat mild climate with a few bad weather days. I’d say that those are pretty good odds for a successful trip. Madison is a gorgeous city to visit any time of the year. 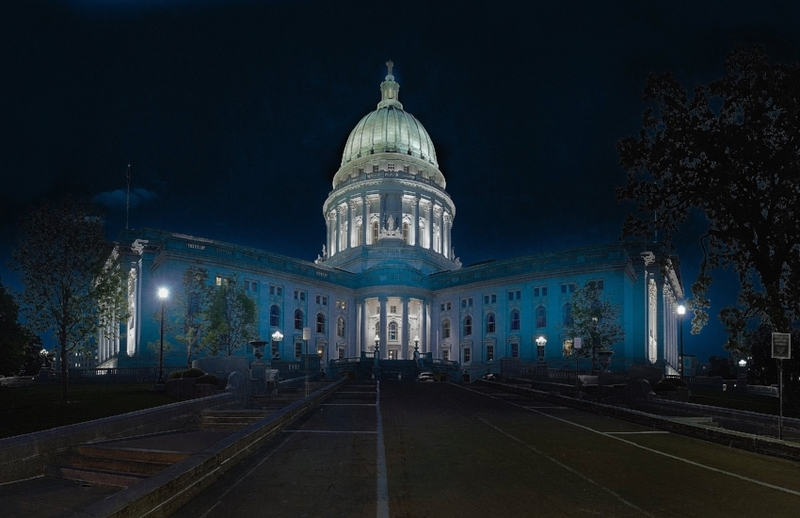 The University of Wisconsin - Madison campus draws plenty of visitors and has become known as one of the most beautiful in the country. If you’re one of the many who prefers to discover destinations by foot, Madison has a unique bicycle program that makes covering a lot of ground easy and endless trails to explore as well. Madison has a food scene supported and inspired by locality. For example, a lot of the beers you’ll find at restaurants and bars you’ll only find in Wisconsin because they keep to a local business code. The lake views are gorgeous photo opportunities and if you visit in warmer months, the lake is a hotbed of water sports. If you don’t believe me when it comes to Madison, believe my cousin who moved there for college and never looked back...and also this article from Travel + Leisure. San Antonio is a surprisingly amazing city. I’m not sure what most people expect when it comes to San Antonio but for myself, I didn’t have any expectations. All I knew was that there was this riverwalk everyone talked about and that the Alamo was here. Little did I know that it feels like a tropical escape, the riverwalk is absolutely stunning and there is a load of things to do. Just the riverwalk alone can take up your time for days. There are a multitude of restaurants, shops, and activities from live music to historical monuments. The riverwalk has a water taxi that takes you along the majority of the city’s most popular destinations including the Pearl District, an ex-brewery turned multi-purpose establishment with a hotel, restaurants, shopping, residences, and more. San Francisco was the first city that I traveled to alone. It was my first trip after starting my freelance career and more circumstantial than anything since a friend of mine was getting married out there. I organized a three week trip - two weeks visiting family in Dallas and five days in San Francisco. San Francisco, while not my favorite place I’ve visited, is easy to navigate (if you don’t include the thigh killing hills) and there is plenty to occupy your time with. From gorgeous parks to interesting neighborhoods, ferry rides to abandoned prisons and day trips to wine country, there’s something for every interest. Lots of shopping, plenty of restaurants to try, you name it. Don’t miss the opportunity to ride a traditional trolly or get a beautiful shot of the Golden Gate Bridge. It’s also worth it to mention that the weather is perfect year round so packing for San Francisco is a breeze. Photo Credit: Stile. Foto. Cibo. Washington DC is one of those places that is so approachable even schools send groups of students there for special trips. That’s actually how I discovered Washington DC for the first time - on an 8th grade trip. 12 years later, I returned for a 10-day visit after five days in Boston. Seeing the nation’s capital as a 25 year old as opposed to a 13 year old was a really interesting experience. 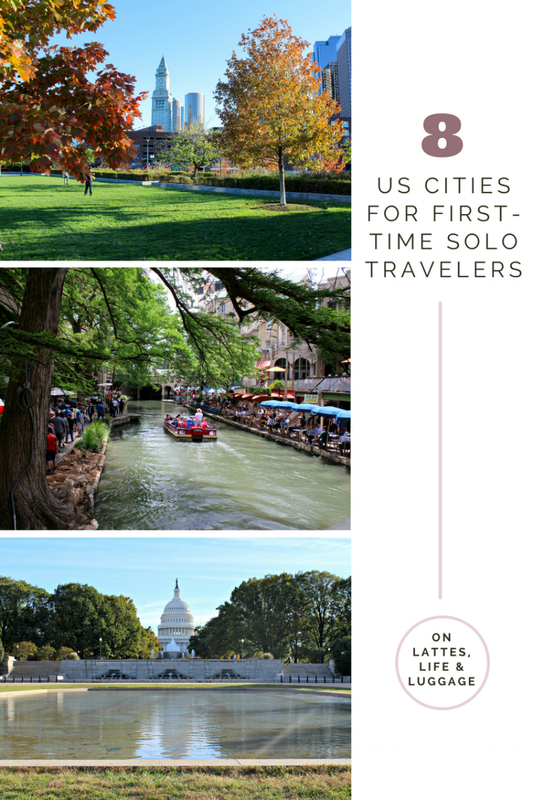 DC is great for solo travel because there is an endless list of things to do, it’s a walkable city with easy to navigate public transportation, and because it’s such a high-tourist destination, the people almost expect you to approach them with a question. It’s friendly, welcoming and you certainly won’t be bored! Even if you don’t think that solo travel is for you, I encourage you to try at least one trip. Make it a city you’ve already been to so it’s not a completely new experience. Imagine a trip where you don’t have to think about what anyone else wants to do or when they want to do it. The only opinion that counts is yours. If you want to stroll around aimlessly one day and pack in a full schedule of activities the next, you can! If you want to change your mind last minute about what restaurant you’re heading to for dinner, do it! That’s the best part of traveling solo. The only person you need to consider the entire time is yourself. When was the last time you were able to do that?